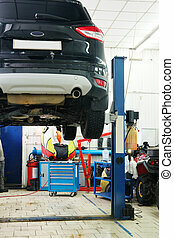 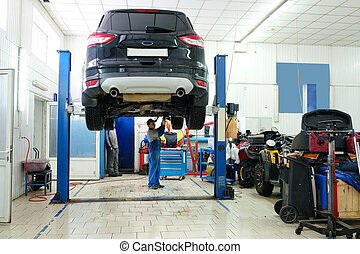 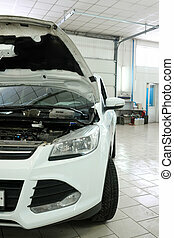 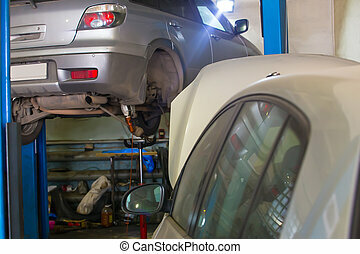 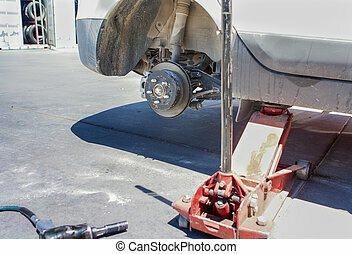 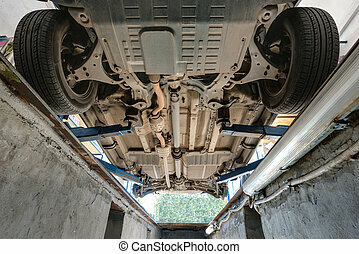 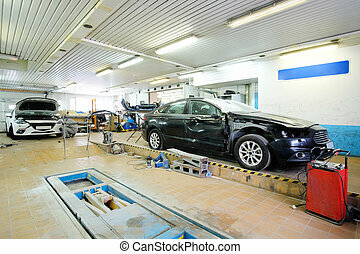 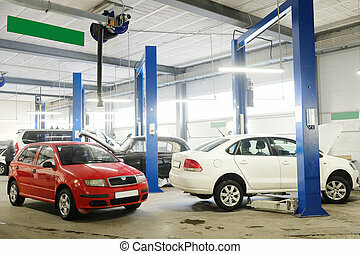 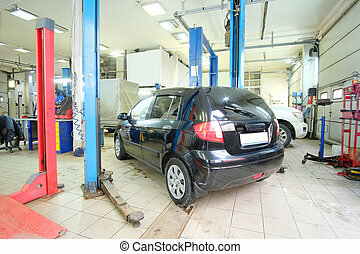 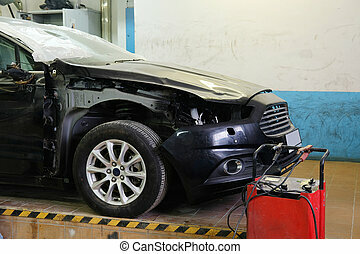 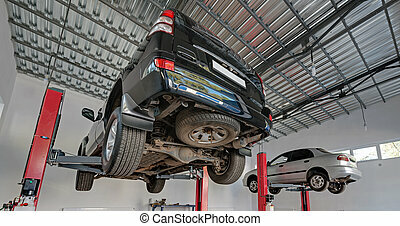 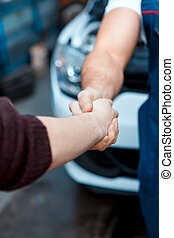 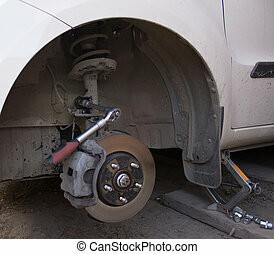 Car wheel is being maintained on car repair station. 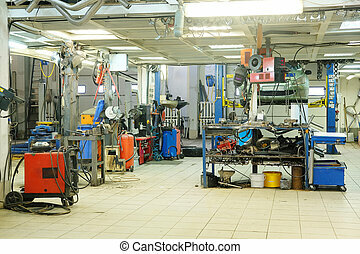 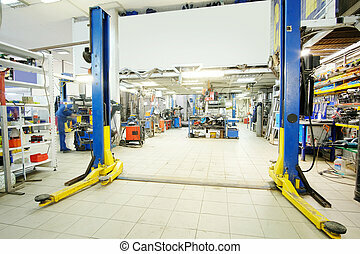 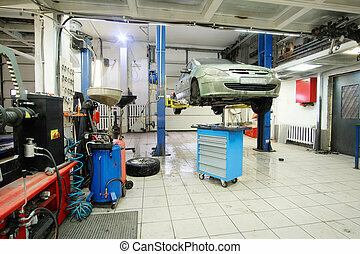 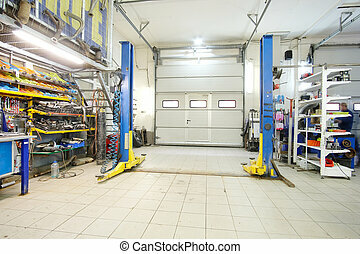 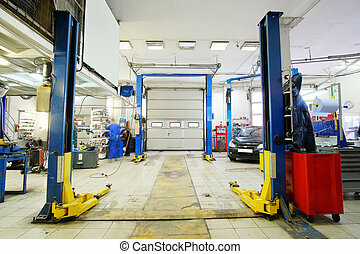 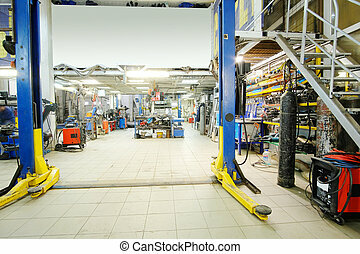 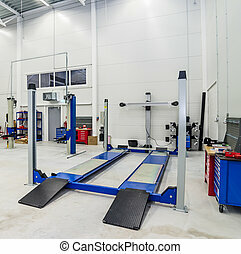 Empty workshop with a lift in a car repair station. 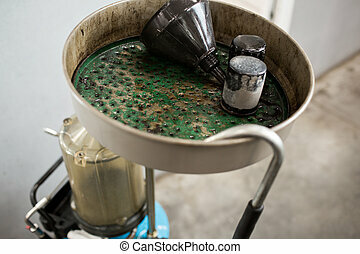 Old used oil filters. 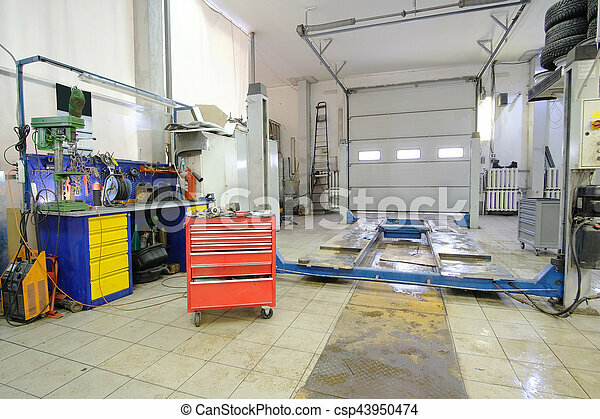 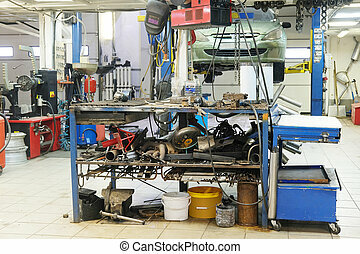 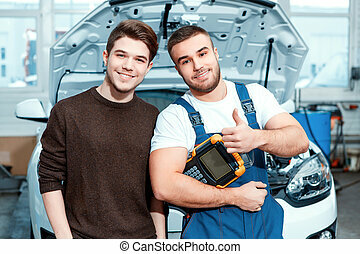 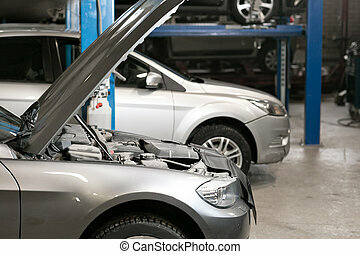 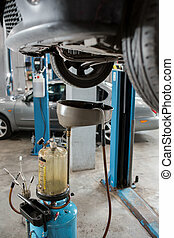 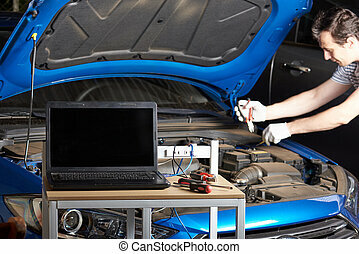 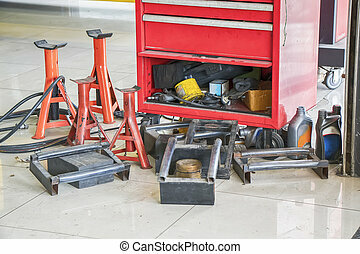 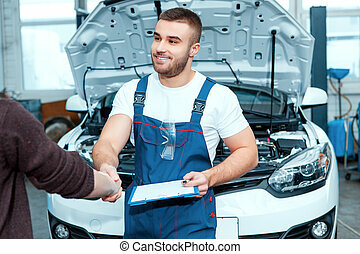 Equipment for oil changing in car repair station.